Yet it can be a bit fiddly, as merely looking at fabric cut at an angle seems to stretch it out of shape! Never fear though – here are some quick tips for stabilizing, handling and finishing a gorgeous bias-cut creation. 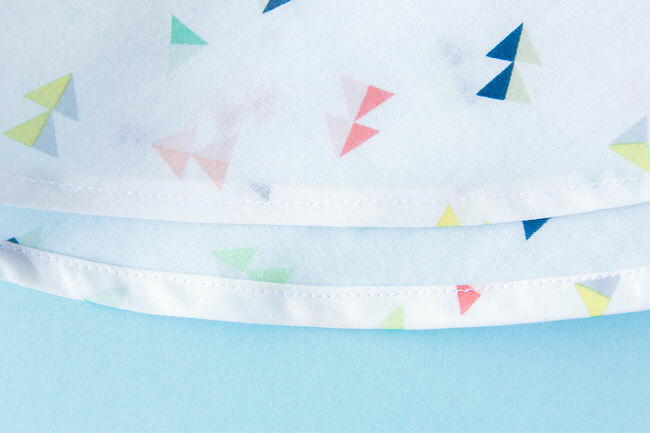 As soon as you’ve cut out your pieces, staystitch the bias cut edges. All this entails is sewing a line of stitching on a single piece of fabric, about 10mm (3/8in) from the raw edge - within the seam allowance, so you don’t see it once the seams are sewn. This will help stop the diagonal edge from stretching out of shape as you’re handling it. 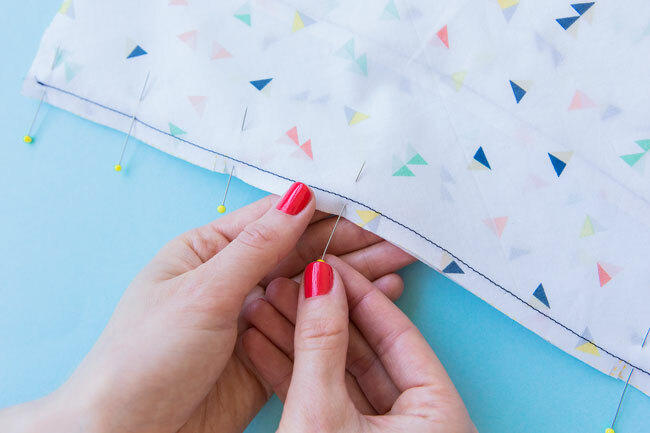 Start staystitching from the same end on symmetrical pieces - usually from the wider part of the fabric towards the narrower part - so that if the seams do stretch, at least they'll still be symmetrical! In addition to staystitching, another way of reducing fabric stretch is to avoid handling the cut pieces too much before sewing them. Try not to dangle the pieces by the corners as you’re carrying them between cutting table and machine. And as you’re feeding it through the machine, check the fabric isn’t hanging off the sewing table. If you see any diagonal ripples, try holding the fabric up slightly and holding the seams together with your fingers, so they run under the presser foot evenly without either layer stretching out. Bias-cut sewing calls for pins! Even if you don’t usually use many (or any) pins, get them out now and use lots of them to hold the seams together before stitching. Start by matching up the corners and notches, then ease together the rest of the seams to fit. If the seam lines (15mm or 5/8in inside the raw edge) just don’t seem to match up, even with a bit of easing, measure the raw edges against those on the pattern pieces to see if they’ve stretched out (or simply moved as you were cutting them out). Then you can trim them down if you need to. Before you hem your garment, hang it up for a day or so. The fabric may well stretch vertically, so best to let gravity do its thing before you finish it. 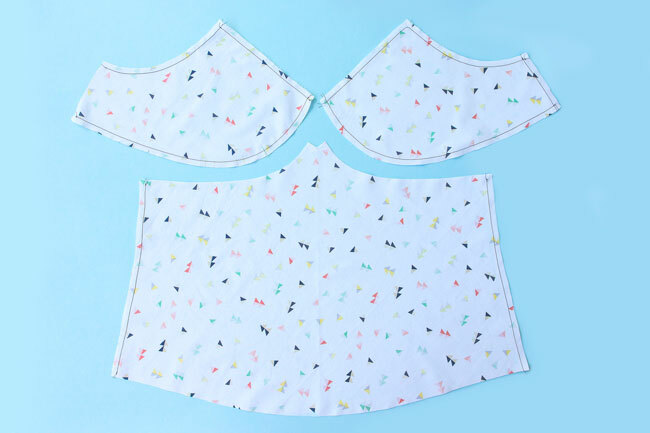 Many bias-cut garments – such as the camisole part of the Fifi pyjamas and the skirt on the Martha dress – are made up of panels, so you may notice one panel ends up a bit longer than the other because of this. 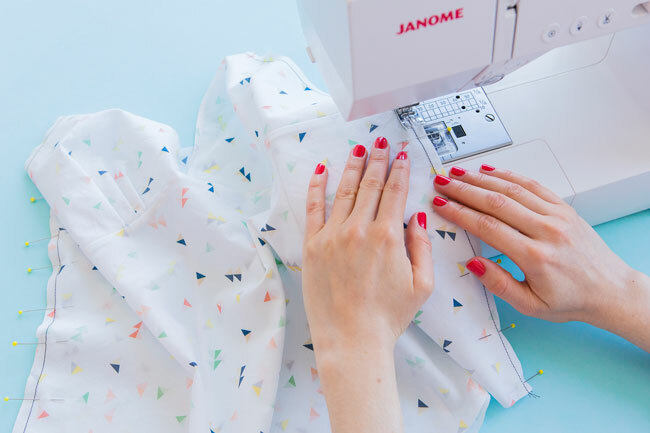 Grab the fabric scissors and even out the hemline before taking it to your machine for hemming. As East 17 sang so beautifully in the early nineties, "Steam! There's no need to be afraid..." I believe what they meant was don’t panic if your bias-sewn seams look a little ripply. Your iron can work absolute wonders to neaten up everything up. Set it to as steamy a setting as your fabric can take (test on a scrap first if you’re not sure) and use the steam to settle and set the seams and hems. If you liked this and fancy sewing a bias-cut creation, you might like to try our Fifi pyjamas or Martha dress sewing patterns. 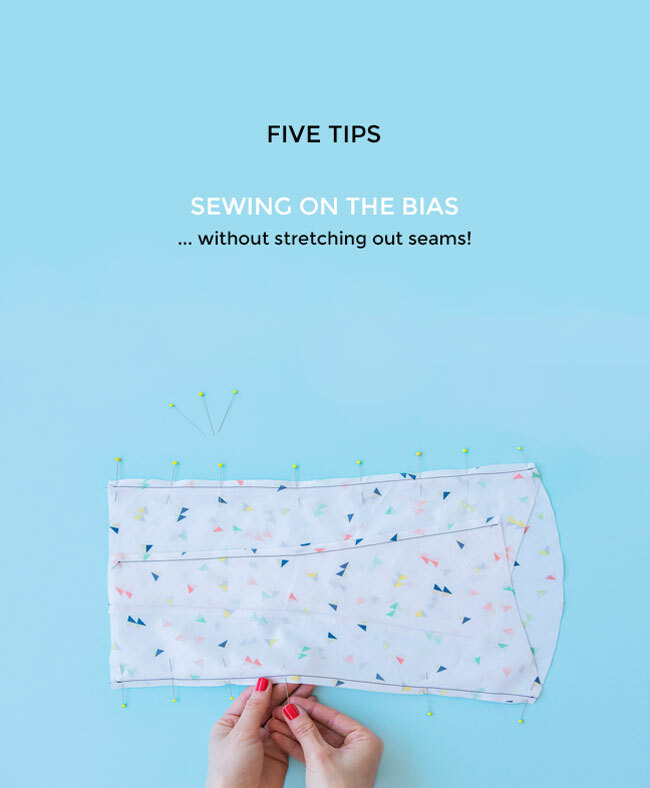 Any other bias-cut sewing tips to add? Feel free to share them in the comments below! Sewing Space Tours...Heidi's stylish hub! Sewing Martha Instaspam Party Roundup!